Amelie's Blog : Aussino SALES! A great news to share around with all of you! Do you still remember the post which I blogged earlier about Malaysia's Largest Clothes Buffet? Yay! 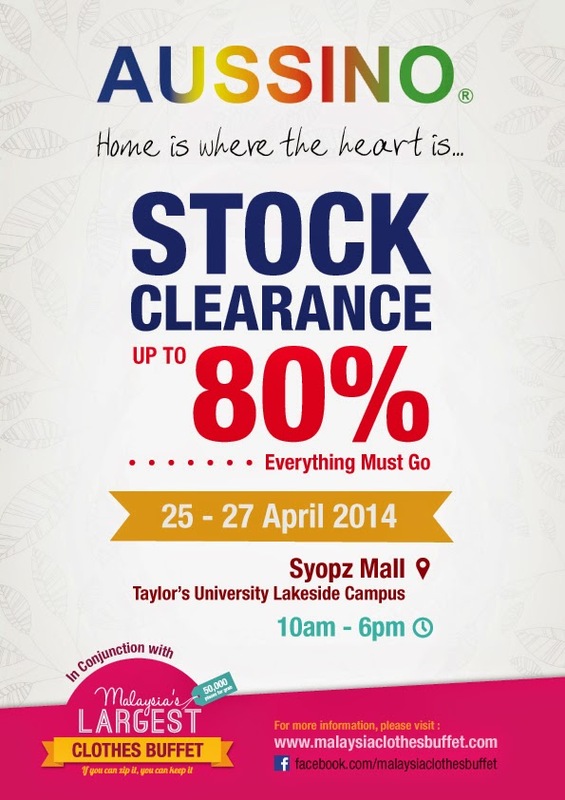 In conjunction with clothes buffet on this coming weekend, Aussino is running a stock clearance up to 80% discounts! OMG, I can't wait to get myself some bed sheets from Aussino because it's such a deal with 80% OFF. Besides, this can be a fantastic gift for your parents as mother's and father's day are just around the corner! Surprise them! For more information, do visit Malaysia Clothes Buffet.